SNOWSHOE RABBITS IN WINTER #1 Majestic Wilderness Ornament Series  1997, OX5694  This design depicts a family of snowshoe rabbits, whose summer coats of tan have turned to white for wintertime. All Mint in mint box, never used. All items in this series available. 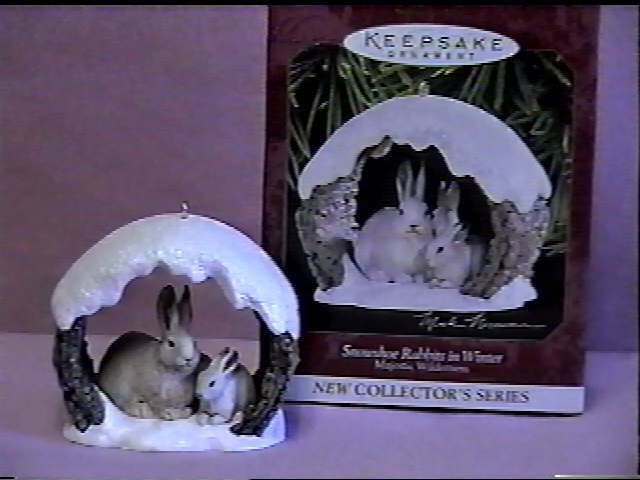 Items Similar To "SNOWSHOE RABBITS in Winter Hallmark Ornament 1997 Majestic Wilder..."